This is a tree; the bitter orange tree. 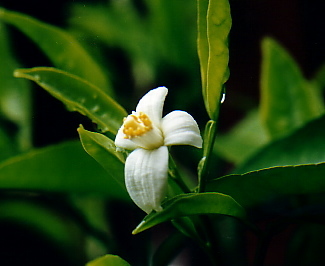 It yields no less than three different essential oils; from the fruit (bitter orange), the flowers (neroli) and the leaves (petit grain bigaradier). How’s that for abundance? The tree originated in southern China and northeast India and was later introduced to Italy. It is widely cultivated for its oil in France, Paraguay, Africa, Italy and Tahiti. 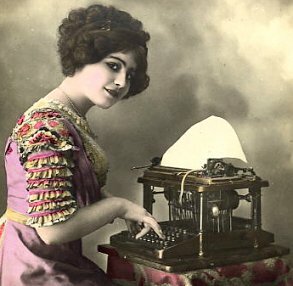 The name amara comes from the Latin “acrumen”, in French amère, which means bitter. This evergreen tree grows to a height of 10 meters, the leaves are dark green and glossy. Old leaves fall after new ones have grown. The trunk is smooth and greyish as are the branches. It carries fragrant white flowers and fruits that are smaller than sweet orange. 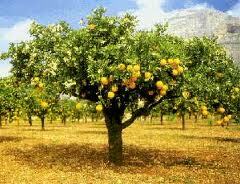 It is the hardiest of all citrus trees. Bitter orange (pomerans and bigerade are other names for it) is the essential oil pressed from the rinds of the fruits. In perfumery it is sometimes called “Seville orange”. The scent is reminiscent of sweet orange but sharper and deeper. It is fresh, dry with a slight floral undertone. Skin: It helps balance the sebum-production, making it useful for oily skin. Its anti-inflammatory and antiseptic qualities can be used for acne. Use in massage against stretchmarks. Circulation: Can help with water-retention. Digestion: tonic and aiding cramps, indigestion, flatulence. Emotional: Studies have showed that bitter orange oil can “quiet” the brain which makes it useful against insomnia when there is too much “chatter” in the head. It is helpful against anxiety or feeling low. All citrus oils have a shelf life of about 6 months. They oxidize very easily and then turn cloudy. Do not use on skin since they become skin irritants as they age. Petit grain bigaradier: The name comes from the French “petit grain”, meaning small grains as the oil originally was distilled from the small, green unripe fruits of the tree. Now the oils come mainly from distilling the leaves (and sometimes green, fresh twigs). It is an ingredient in the classic “Eau de Cologne” and sometimes called “poor man’s neroli”. The scent is floral and fresh with a citrusy woody undertone, slightly herbaceous. Skin: Balancing and calming, it is helpful with both oily and dry skin. Helps with acne. Digestion: Works as a tonic when liver is sluggish and can help with nausea. It is useful for digestive cramps and spasms that have an emotional origin. Emotional: Calming, balancing and uplifting. Use for anxiety, depression, shock. It is a good oil to have around when you feel stressed. 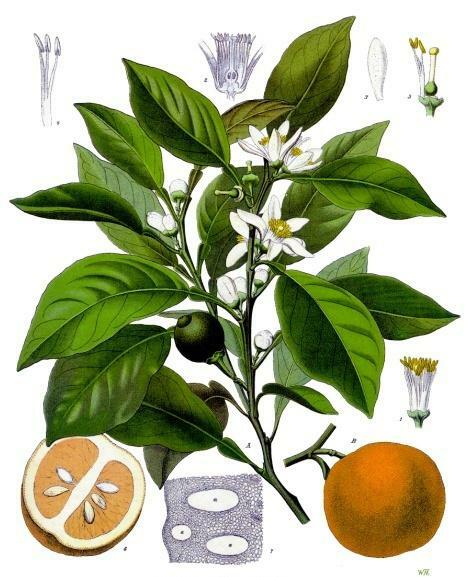 NEROLI comes from the flowers which are handpicked. The yield of essential oil is 30 times less from the flowers than the fruits or leaves. The oil is very costly, but as always with the more costly oils, little goes a long way. I have found that with these oils, less is more, the scent as well as the effects are actually magnified in lower dosages. The name is believed to come from an Italian princess, Anna Maria de la Tremoille, Countess of Neroli who used the scent as her personal signature perfume. The scent is rich, deeply floral and sweet with fresh overtones. Skin: Improves skin elasticity by helping cell regeneration, use for dry, sensitive skin. Emotional: Depression, grief, hysteria, anxiety and shock. It is believed to have an aphrodisiac effect by releasing nervous tension. Physical: Neroli can help with a wide variety of physical problems that originate from emotional disturbances. I recently used this oil for a grieving widow. It kept her balanced and calm all through the funeral arrangements and later eased her grieving process. PERSONAL: I use the Bitter orange oil for people who chatter uncontrollably, often from stress. It helps calm and freshen the mind, allowing a free flow of positive thought-patterns and diminishes the tight feeling around the head, creating a feeling of space. Petit grain is a terrific balancing oil and easily incorporated into blends. It can highlight any aspect of a blend, be it woody, fresh or floral. It calms physical tension and relaxes the spirit. The uplifting, fresh aroma brings a sense of lightness and ease. Neroli is one of the best oils for grief as it is uplifting and gives a feeling of hope, like a ray of light in the darkness. When desperation threatens, Neroli will take you through it by inspiring calm serenity. There are now a number of research papers demonstrating the beneficial effects of massage therapy in relation to the physiological and psycho-logical aspects of stress (see ALTERNATIVES in healthTM Vol 1;2 and Vol 1:5) and the latest controlled study conducted at the Touch Research Institute, University of Miami School of Medicine, Florida, USA shows once again that massage therapy has an important role to play in the alleviation of stress and stress-induced illnesses. In the study two times every week for five weeks, twenty-six adults were given a chair massage and twenty four adults were asked to relax in the massage chair for 15 minutes to be used as controls. On the first and last days of the study all of the participants were monitored for EEG, before, during and after the sessions. In addition, before and after the sessions they performed math computations, they completed POMS Depression and State Anxiety Scales and they provided a saliva sample for cortisol. 6. At the end of the 5 week period, depression scores were lower for both groups but job stress score were lower only for the massage group. This small-scale study suggests that massage therapy offers benefits in not just alleviating the physiological effects of anxiety, but also in improving mental alertness. Field T; lronson G; Scafjdi F; Nawrocki T; Goncalves A; Burman I; Pickens J; Fox N; Schanberg 5; Kuhn C.Massage therapy reduces anxiety and enhances EEG pattern of alertness and math computations. mi Neurosci (ENGLAND) Sep 1996,86 (3-4) p197-205. Seniors are a growing but invisible group in society. More often than not do they come to the point of moving into a home where they can be properly looked after. This is an intensely stressful event. Some people choose to move into a home of their choice at the time of their choice, but they are few. Most seniors slide into a solitary life in their own homes until they can’t manage it anymore and then are moved to a senior home. At this point they often become confused, scared, depressed and angry. From these negative feelings arise many problems; circulatory, emotional, sleep-disorders, appetite and digestion. Sometimes seniors deteriorate very quickly in a home; the older we get, the more loath we become to leave our familiar – and therefor safe – surroundings and when this safety is taken away the world falls apart. 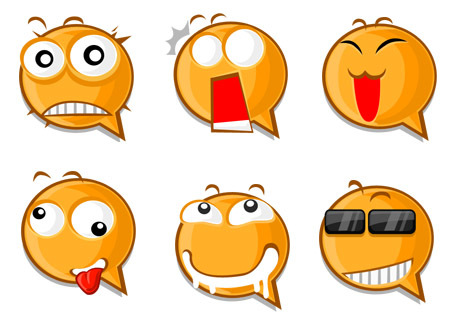 When there is also mental confusion, a move at this time in life can become a huge trauma. I have done some work in retirement homes using essential oils and the results are amazing! By using carefully blended oils in proper dosages a lot can be done. Together with massage they work wonders on stressed individuals. Massage can be as simple as stroking somebody’s hand, bringing peace to the person. There is no need for massage-training, all that is needed is care. Scents in diffusers also help with emotional balance and a stress-free environment. Anxiety, fear, stress, confusion, depression, anger….all schoolbook examples on areas where essential oils are helpful. Emotional disorders: Lavender (Lavandula augustifolia), Orange (Citrus sinensis), Geranium (Pelargonium graveolens), Frankincense (Boswellia carterii), Rosewood (Aniba rosaeodora), Petit grain (Citrus aurantium), Bergamott (Citrus bergamia), Ylang-ylang (Cananga odorata). When severe: Neroli (Citrus aurantium ssp. amara var pumilla), Rose (Rosa damascena), Melissa (Melissa officinalis). Massage, diffusion. Sleeping disorders: Lavender (Lavandula augustifolia), Bitter orange (Citrus aurantium), Ylang-ylang (Cananga odorata). Massage, diffusion. Stimulating appetite: Lemon (Citrus limon), Rosemary (Rosmarinus officinalis). Diffusion 20 min. before mealtimes. Seniors are frail in many ways, not least physically. Always contact a professional aromatherapist before using essential oils. A study conducted at University of Miami Medical School, Florida, USA, revealed that massage may offer considerable help for children suffering from stress-related disorders. A 30-minute back massage was given daily for a 5-day period to 52 children who were hospitalized as suffering from depression and adjustment disorders. Subjective assessments were made by the children themselves and by the nurses based upon perceived anxiety levels, sleep patterns and the willingness of the child to be co-operative. Objective analyses were also made by analysing stress hormone levels in the both the urine and saliva. The results were then compared to a control group who were shown relaxing videotapes for 30 minutes instead of massage therapy. The results of the study revealed that the children receiving a 30 minute massage were less depressed or anxious and had lower saliva cortisol levels after the massage. In addition, nurses rated the massage group as being more co-operative on the last day of the study, and noted that the children were sleeping better than the children in the control group and that their night-time sleep had increased over the 5 day period. Massage therapy also had the effect of reducing urinary cortisol and norepinephrine levels in the children suffering from depression which was not observed in any of the children in the control group. The researchers were left in no doubt that massage therapy offers real benefits for children suffering from stress and anxiety.